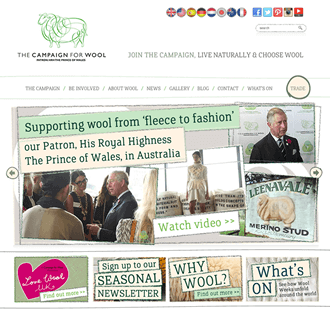 The Campaign for Wool was initiated in October 2008 by His Royal Highness the Prince of Wales, who had observed that the wool industry was facing enormous and unprecedented challenges. The price of wool had plummeted to the point where farmers were being paid less for their sheep’s fleeces than the cost of having them shorn. At the same time, sheep numbers were declining across the globe, from Britain right through to Australia and New Zealand, and a huge proportion of farmers were losing confidence in the future of the wool industry. To raise the profile of wool and its benefits over manmade fibres. 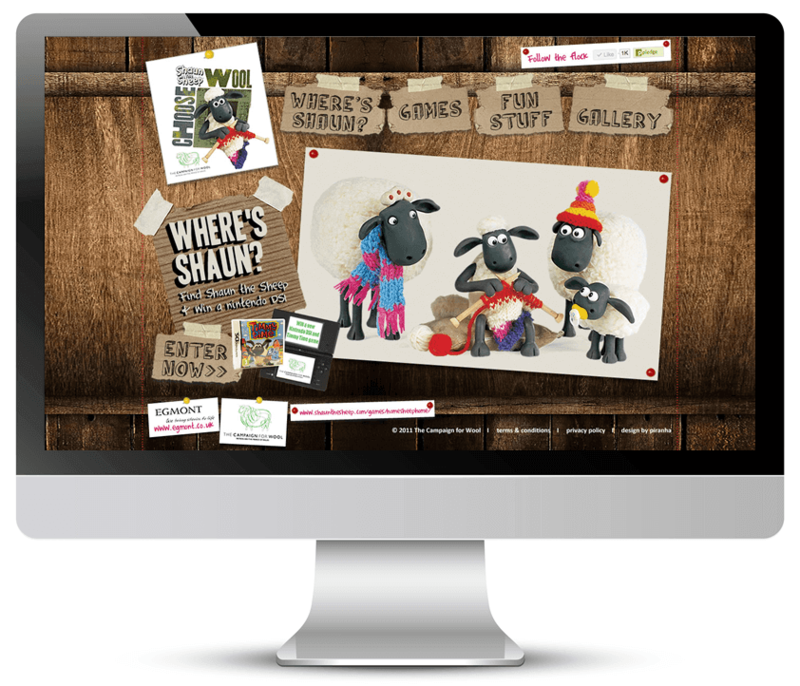 The Campaign for Wool has an international remit and needed to improve its online presence in order to promote its messages to a wide audience within the wool trade and to the public at large. Piranha’s strategy accommodated the diverse uses and audiences of the wool market, as well as potential supporters from other backgrounds. The Piranha team created a brand new website as a focal point for the campaign and to help boost their online presence. We also introduced international websites to promote local issue and events for China, France, Germany, Japan, Korea, Netherlands, New Zealand and USA. A combined social media and SEO strategy was developed and implemented to ensure that the campaign connected with a range of audiences, from the artisan, fashion, interior design and wool sector. The websites were extremely well received by the public and the Campaign for Wool’s high profile retail and fashion house partners. The 2011/2012 campaign saw a marked boost in social media audiences, including a 286% increase in Facebook likes and 450% increase in Twitter followers over the first 12 month period. Engagement with the audience was increased, predominately through Facebook, Twitter, the Campaign for Wool blog, and by utilising other platforms such as Pinterest and Instagram. By July 2013 the Campaign for Wool reached 20,000+ Facebook likes and over 12,000 followers on Twitter, with a phenomenal increase in engagement across all selected social media platforms.